1)	Caglayan M. and Wilson S.H. Pol μ dGTP mismatch insertion opposite T coupled with ligation reveals a promutagenic DNA intermediate during double strand break repair. Nature Communications (2018) 9: 4213. 2)	Horton J.K., Stefanick D.F., Caglayan M., Zhao M.L., Gassman N.R., Wilson S.H. XRCC1 phosphorylation affects aprataxin recruitment and DNA deadenylation activity. DNA Repair (2018) – 64: 26 – 33. 3)	Prasad R., Caglayan M., Da-Peng D., Nadalutti C.A., Gassman N.R., Zhao M., Stefanick D.F., Horton J.K., Krasich R., Longley M.J., Copeland W.C., Griffith J.D., Wilson S.H. DNA polymerase β: The missing link of the base excision repair machinery in mammalian mitochondria. DNA Repair (2017) 60: 77 – 88. 4)	Caglayan M., Prasad R., Krasich R., Longley M.J., Kadoda K., Tsuda M., Sasanuma H., Takeda S., Tano K., Copeland W.C., Wilson S.H. Complementation of aprataxin deficiency by base excision repair enzymes in mitochondrial extracts. Nucleic Acids Research (2017) 17: 10079 – 10088. 5)	Caglayan M., Wilson S.H. Role of DNA polymerase β oxidized nucleotide insertion in DNA ligation failure. Journal of Radiation Research - Review article (2017) 1093: 1 – 5. 6)	Caglayan M., Horton J.K., Da-Peng D., Stefanick D.F., Wilson S.H. Oxidized nucleotide insertion by pol β confounds ligation during base excision repair. Nature Communications (2017) 8: 14045. 7)	Sassa A., Caglayan M., Rodriguez Y., Beard W.A., Wilson S.H., Nohmi T., Honma M., Yasui M. Impact of ribonucleotide backbone on translesion synthesis and repair of 7,8-Dihydro-8-oxoguanine. Journal of Biological Chemistry (2016) 291: 24314 – 24323. 8)	Caglayan M., Wilson S.H. Oxidant and environmental toxicant-induced effects compromise DNA ligation during base excision DNA repair. DNA Repair - Review article (2015) 35: 85 – 89. 9)	Caglayan M., Horton J.K., Prasad R., Wilson S.H. Complementation of aprataxin deficiency by base excision repair enzymes. Nucleic Acids Research (2015) 43: 2271 – 2281. 10)	Caglayan M., Batra V.K., Sassa A., Prasad R., Wilson S.H. Role of polymerase β in complementing aprataxin deficiency during abasic-site base excision repair. 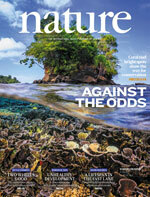 Nature Structural and Molecular Biology (2014) 21: 497 – 499. 11)	Sassa A., Caglayan M., Dyrkheeva N.S., Beard W.A., Wilson S.H. Base excision repair of tandem modifications in a methylated CpG dinucleotide. Journal of Biological Chemistry (2014) 289: 13996 – 4008.